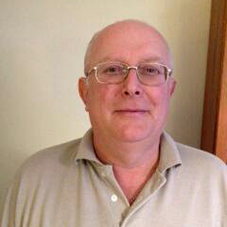 David joined the Club in 1958 and has been an enthusiastic member ever since. He first toured Devon in 1959 and has been a regular tourist since. He was an opening bat of some ability and regular Captain of the Club . He became President in 1998 and has been very proud to carry that responsibility since. David was a sought after Brighton solicitor specialising in litigious work. He was probably best known for representing a number of leading Sussex sportsmen. He often joked (and technically with honesty) that he was one of the few who can say they have "appeared at Lords and Twickenham". He joined Sussex in 1949, and has been a leading member of Preston Nomads since 1953 and of the Old Brightonians. He played rugby for Brighton, which club he still supports enthusiastically. I have been member of Brighton Brunswick CC since 1982. I am a managing director of a sports ground construction company, soon to retire. Whilst over the years my business commitment ate into my love of playing both cricket and rugby I've always made sure that I could always turn out for the Brunswick. BBCC always played the game in a friendly, honest manner whilst still maintaining the will to win, I have made many friends and during my period as Chairman I hope I embrace that ethos and hopefully pass it on to generations new. 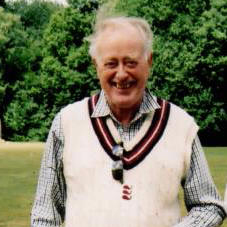 Bob joined Brighton Brunswick Cricket Club in 1965 having been introduced to the club the previous year by the legendary "Ossie" Osborne who later became Club President. 2015 will mark 50 years of continuous membership of the club. At the time Bob joined he was a member of Brighton & Hove Cricket Club where he was an opening right arm fast bowler. In moving house he played for three seasons for Three Bridges C.C. and later in his early-30's for Worcester Park C.C. in the Surrey league. On moving back to Brighton he returned again to play in his later years for B & H CC where he captained the 2nd. XI, before hanging his boots up in 1987. He was appointed Chairman of B & H CC from 2003 to 2008. 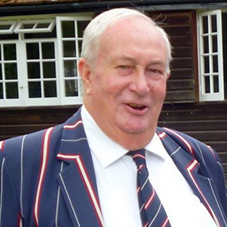 In 2012 Tony Dougall handed over the duties of Honorary Secretary to Bob where he maintains that position today. 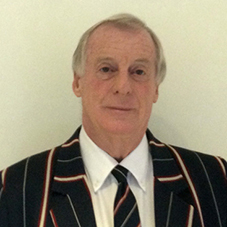 Ted, born in South Wales, has lived and played cricket in Sussex since 1979. He became a member of Three Bridges Cricket Club in June 1979 and some say he is their longest playing overseas player having crossed the Bristol Chanel seeking drier climes. He still turns his arm over for Three Bridges, Sussex Seniors and occasionally for the Brunswick. He claims to be the most underrated batsman in Sussex but there is little evidence to support the claim. Ted worked for the Inland Revenue for some 15 years before becoming a national full time negotiator for the IR staffs' trade union. Since retirement he served for a number of years as a board member of the Civil Service Appeal Board. 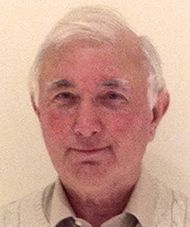 In recent years he has been a non-executive director of a mutual society, Benenden Health Care, and has been the chairman of their Committee of management since 2010. 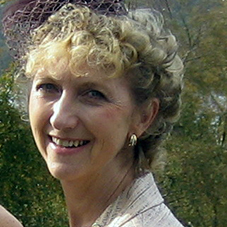 Hello, I'm Alison Skinner, Brighton Brunswick's new fixture secretary. I have recently retired (very early!) from a long and interesting career in the NHS, including as a Finance Director in both Primary Care Trusts and Clinical Commissioning Groups. I am an Accountant and have a small management consultancy. This enables me to spend time with family, at cricket and following other interests. I come from good cricketing stock, with my father Reg and brother Paul, playing for many years across Surrey and Sussex. Both have been associated with Brighton Brunswick. To Dad's delight, I was born with a pencil in my hand and a natural ability to score! As a qualified scorer, I am currently keeping score for East Grinstead, and ventured into University Cricket for the first time in 2014. I have a wide range of other interests, including the theatre, travel and working as a volunteer teacher and mentor. I'm a keen skier, support Crystal Palace and enjoy most other sports. 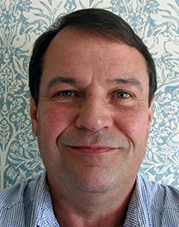 Robert Stewart was first introduced to Brighton Brunswick by his father who took him to an annual dinner in the 1980's. Robert has played 1st and 2nd team cricket for Three Bridges and served on the committee for over 10 years as well as playing for Brighton Brunswick. Robert has toured to Devon with the Brunswick every year since the early 1990's. Apart from cricket he is a keen rugby follower, London Irish in particular. Robert is now the Director of Cricket for the Brunswick which involves co-ordinating and helping the match managers to raise their teams for the season as well as recruiting new players. Tony was introduced into the Brighton Brunswick community, like so many, by the legendary "Ossie" Osborne in the late sixties. His cricketing background was The Old Paulines CC,, Gentlemen of Old Windsor and Brighton & Hove CC of whom, incidentally, Ossie was also a member. Within a year or two he was asked to "propose the guests" at the annual Dinner and in 1968 was asked to act as MC. He has performed this duty with only one year`s absence ever since, defying any of his fellow Club officers to find a replacement! In 1994, he was asked to take over the duties of Honorary Secretary from Bob Munn and continued in this role for the next eighteen years. 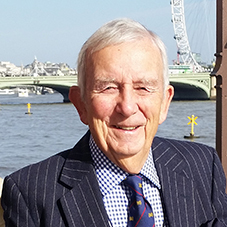 He has also organised for the last thirty years or so, the Brunswick Annual Dinner with help, for many of those years, of the late Tony Millard. Last year he handed over the reins to one of our "modern men", Andy Smith who is still having to put up with his assistance on all matters relating!. In 2012, he handed over the role of Hon. Sec. into the safe and capable care of the redoubtable Bob Sansom. He remains on the committee as Chairman of the Club's Social and Extra Curricula activities. I am a self employed Chartered Quantity Surveyor and have played the majority of my cricket for the now defunct Brighton and Hove RAFA and more latterly for Preston Nomads. My son David has played for and toured with the Brunswick on several occasions. I am Secretary of the Sussex Cricket Coaches Association and Ground and Buildings Manager for Preston Nomads. I still play occasionally but I am more often seen umpiring or scoring these days. I am also a passionate deep sea angler and am fish recorder for EFSA England and Secretary of Worthing Deep Sea Anglers. A Brunswick member and Vice President of well over forty years standing best known as a fearsome left arm opening bowler as many a batsmen had cause to attest. Also very happy to talk about his batting especially when he took on the world's most feared fast bowler at Hove in August 1971. Last playing appearance for the club was on May 5th when he opened the bowling at Horsham the age of 70. Currently the all time left arm record wicket taker in the history of BBCC. Nick took on the baton from Ossie when he stood down as Brunswick supremo and instigated and ran the match managers system in use today. With John Berry as the other half of the dynamic duo-Chairman and Vice Chairman respectively-they organised the Devon Tour for something over thirty years until John's health began to fail when Nick stood down in 2012 handing on the baton on in turn to the safe hands of Bob Samson and Robbie Stewart. Currently holds the record for the greatest number of consecutive Tours-has never missed in all the time he has been a member. Also well known on the after dinner speaking circuit and has entertained at numerous club dinners in his own inimitable style which could be described as pulling no punches-not a man afraid to speak his mind. The pinnacle of that part of his career was an appearance at Lords when that famous ground echoed to Nick's distinctive oratory resulting in a rapturous reception from the MCC members. 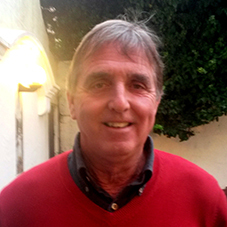 Although having stood down as Vice Chairman Nick was persuaded to stay on the Committee by new Chairman Steve Moore so that the club would not lose the benefit of his experience so continues ' without portfolio ' to advise and support when needed. A regular supporter at nearly all fixtures I suspect Nick is committed to a lifetime of the unique Brunswick camaraderie.